Given the widespread conversations regarding the value and accessibility of digital education, it’s clear that technology has a role in the college classroom, but how exactly are faculty using digital learning platforms and incorporating them into their teaching? 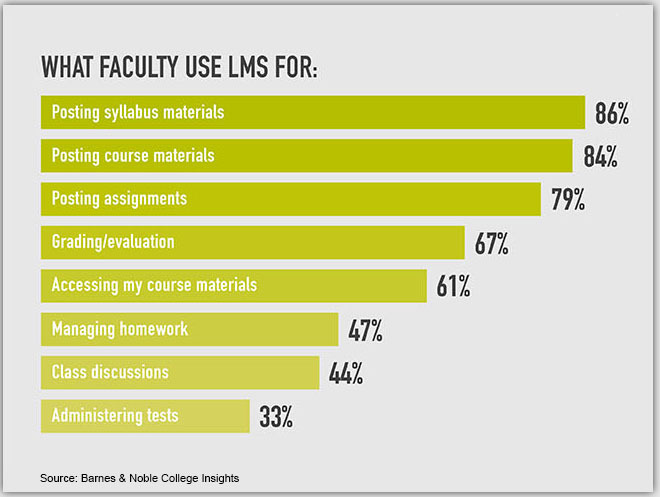 Earlier this year, Barnes & Noble College Insightssm conducted Journey of an Access Code, a nationwide research study of 555 college faculty to gauge the impact of learning technologies on the college campus and learn more about faculty views on a range of teaching innovations — from LMS to learning analytics. 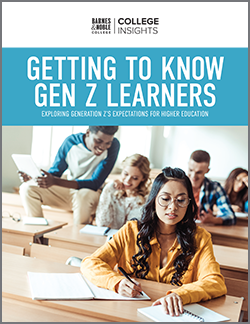 In response, Barnes & Noble College, in partnership with publishers, is testing a new access model offering greater flexibility. 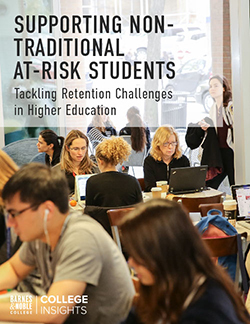 Payment Gateway, which allows students to continue to pay for publisher courseware via the campus bookstore, enables them to use wider payment options such as financial aid or campus debit, and therefore increase the likelihood of continued subscription to their support materials. To learn more about the Journey of an Access Code findings, download our EdTech: A Faculty Perspective infographic.